← Painting at the Leighton. oooohhh, very pretty. Love the vase! Also, the colours are wonderful, I’m enjoying the darker hues. I love this whole piece! Wow, Dayna, fabulous as always. 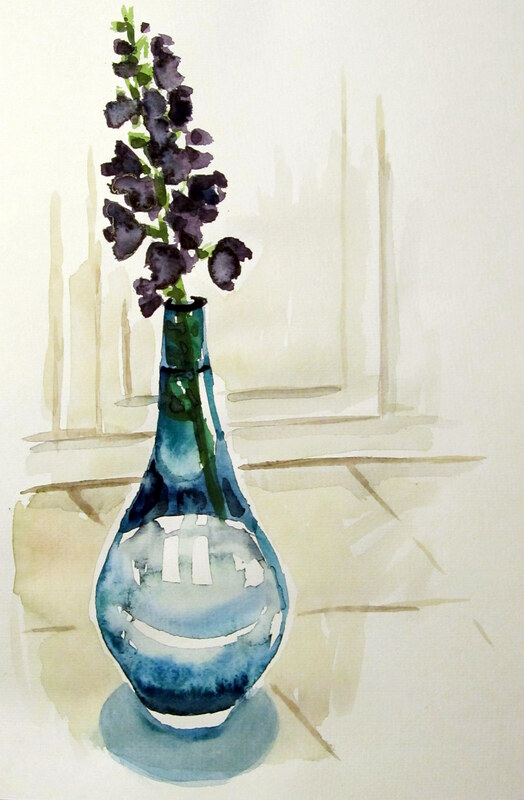 I like the blue of this vase as well. Well done on the light background, it showcases the subject.